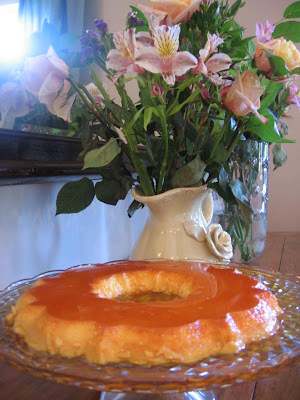 Yesterday I made flan. My mom hates to cook except for this. I guess because it's so easy. 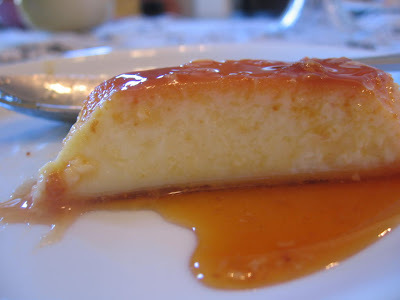 It's my favorite flan recipe and I was finally able to get the caramel right, thank you Mighty Check out her post about how to make caramel. 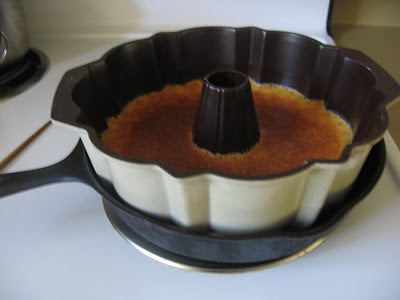 Christian suggested that I use a cast iron skillet to do the bain marie. genius! 9. cook for 45-60 min on 350. 10. turn the heat down to 250 and cook for another 15 minutes. Insert a toothpick, if it comes out clean then it's done. 11. let it cool down before you put in the fridge. I can't visit your blog if I'm even in the remote vascinity of hunger! It makes me go CRAZY!!!!! FEEEEEED MEEEEEEEEE! 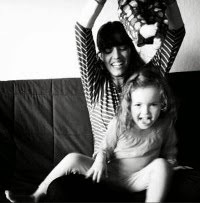 Posso comer um desses SOZINHA!!! !